The exhibition on September 19, 2017 titled “European Architecture in Tang’s Eyes” and planned by HOAA was the prelude to the exhibition tour of excellent works of Lushan International Watercolour Art Festival. This was the first exhibition of HOAA avenue and came to a successful end with the help of design planning team, artists and media. The guests present included highly qualified artists, people from the publication and media circles and students from art design institutes. Artist Tang Liang passionately hugged and greeted with the watercolour artist Claudio couple; after some greeting talks, they artists shared endless talks. During the exhibition tour, Tang Liang took out the album to share with art enthusiasts, and all of them proposed their opinions and ideas for the skills and connotations, and carried out analysis and discussion in a harmonious atmosphere. The activity opened a new chapter of Tang Liang’s solo exhibition in art circle and debut in Milan. At the same time, as the banquet marked the 1st anniversary of official settlement of Milan HOAA International, Tang Liang considered an exhibition there was most memorable. The exhibition not only testified the organizing ability of HOAA, but also sent an important message to the outside world that HOAA had begun the journey in the field of curating. In the afternoon, the warm daylight shone through the glass of the exhibition hall on the happy face of people. Both old and young artists took out their painting tools and began their creation with Tang’s spouse as the model under brisk background music. Soon after, the figure and exhibition scene took shape on the canvas, which no doubt was the best arrangement. When the guests were painting, Tang Liang sat down at the other side and raised his pen to start drawing his favorite European architecture and all eyeballs were suddenly attracted there. A bottle of old Shanghai carbon ink and a regular-use pen, an exquisite European architectural painting was completed in just ten minutes. Tang’s superb skill earned endless praise among the audience especially foreign guests. When the new works of all the painters put on the wall after framing, a pleasing and enjoyable artistic atmosphere was soon created. Therefore, both the guests and the hosts enjoyed themselves to the full through the communication by painting. 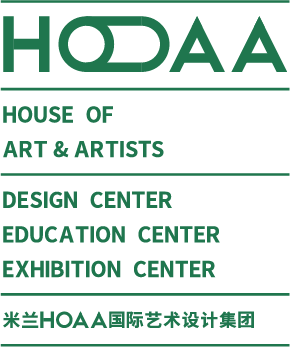 HOAA also sincerely hopes to reach a certain height in the art exhibition, serve as a platform to display and exchange the works of the artists at home and abroad and bridge Chinese and Western cultures. 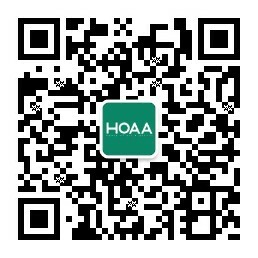 We strive to build HOAA an art center and benchmark and let it go global from Milan.